My excitement about yesterday's cross-stitching post must have stirred up a cosmic kudos, because today I was gifted an unbelievable art installation by Cargo Collective in my inbox, and now I am beyond inspired! 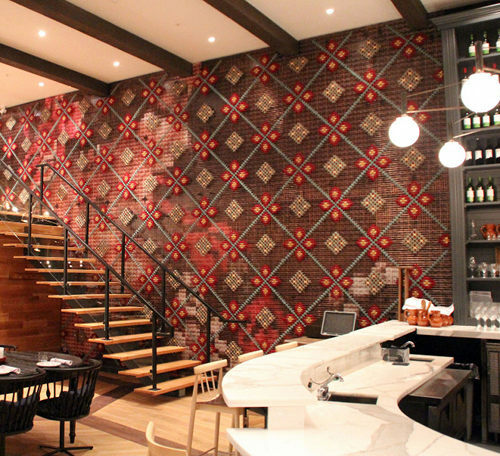 This is Toronto's Patria Restaurant, a Spanish tapas restaurant designed by Commute Home. 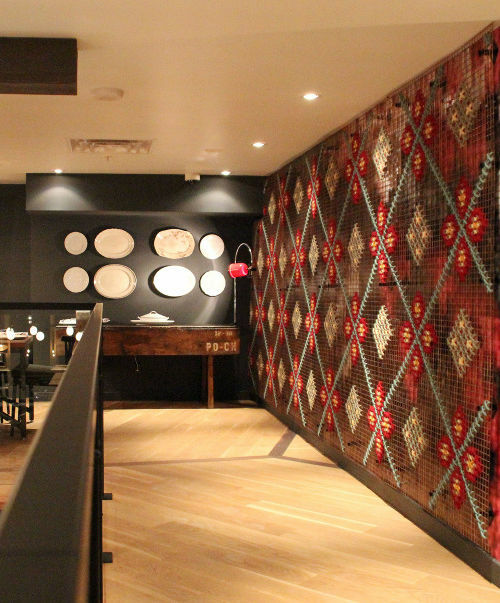 The striking double-height wall designed by Marlo Onilla displays a print of a flamenco dancer set behind a cross-stitched metal grid. 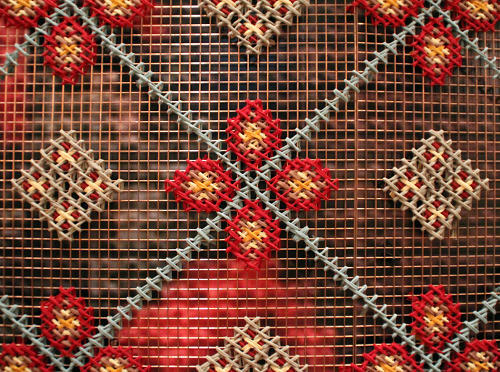 Forget the dancer, and show me more of the embroidered grid! 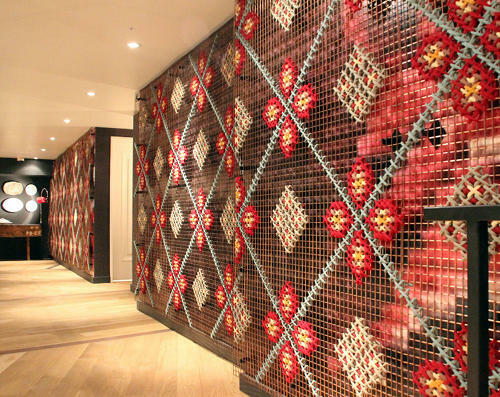 Under the direction of Laura Carwardine for more than two months, the grid was hand stitched with cotton jersey totalling 17,000+ stitches, and 485 hours for everyone involved...now that's an impressive job! I love the juxtaposition of something associated with soft textiles on a small scale interpreted in a giant and almost industrial way. 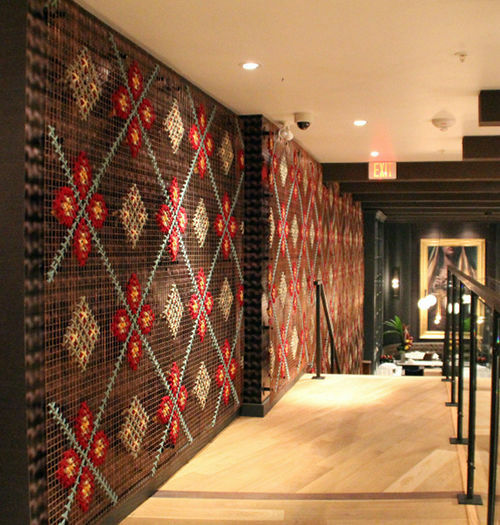 The woven wall's pattern is simple and beautiful, and if this isn't the ultimate way to reinterpret a traditional craft then I don't know what is. Posted by Unknown at 3:24 p.m. Very interesting, I like this type of wall decore.